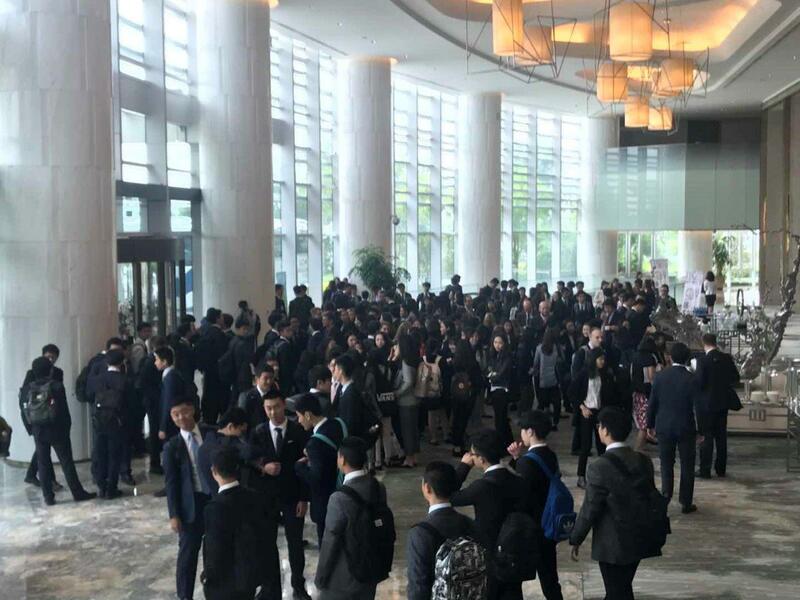 DCB IB students were away for a day last week for the inaugural IB Student Summit at the stunning Sunrise Kempinski Hotel, Beijing at Yanqi Lake. At this event, Year 12 and 13 students attended world-class workshops aimed at launching their IB careers towards success. The significance of the location was not lost on our students, as this was the venue for the APEC Summit in 2014 where leaders of the 21 member-nations gathered. The Year 12s spent a day with [internationally Certified Organizational Consultant] Pete Rogers, a motivational and inspirational speaker who urged them to get involved and find something they were passionate about and pursue it. The Year 13s had the benefit of speaking to Fraser White, Founder and Chairman of Dulwich College International. Mr White gave a presentation on finding a gap and how to fill it. He shared his own stories of entrepreneurial success and failure. The Chinese football legend, Sun Ji Hae, also joined us and spoke about the hardships he had faced in life and how he has worked to overcome those. Thirdly, we spoke to Elizabeth Pei, the Director of Government Affairs at Disney. Ms Pei taught us about finding a purpose and working towards that in our lives. Overall, it was an enriching day that left every student feeling more motivated and more energised to face the IB and the years ahead. Thank you to all the teachers who put in many hours of work to make this outstanding event a reality.